Thank you for your interest in making A Woman’s Place (AWP) the beneficiary of your fundraising efforts. Every day, we are in awe of our community's creative, energetic and inspiring ideas to raise money for AWP and our vision of a society where all individuals are safe in their relationships and can flourish. If you're interested in hosting an event please fill out the Third Party Agreement form below. Third party events should be approved by AWP, prior to the event. Any use of the AWP name, logo, or facilities must be approved by AWP prior to the event. In addition, materials, including but not limited to press releases, public service announcements, electronic marketing, posters, brochures, flyers, and tickets must be approved by AWP prior to distribution. AWP has made a commitment to our donors, volunteers, and staff that we do not sell or provide others with access to our mailing lists. Furthermore, AWP prohibits telephone solicitation by third parties. Approved Third Party fundraising events must be referred to as “benefiting A Woman’s Place.” They may not be represented as “sponsored by”, “conducted on behalf”, or any similar terminology. AWP must receive written notice of all potential sponsors that may be targeted for the event before they are approached, to minimize overlap with other AWP fundraising efforts. AWP may receive funds from similar promotions or events. Our acceptance of your application creates no exclusive rights. Because AWP is not sponsoring the event/campaign, we cannot have the event/campaign revenues and expenses flow through our books. Furthermore, you cannot set up a temporary bank account in AWP’s name. AWP reserves the right to inspect all event financial records. If event expenses are greater than the money raised, you are responsible for paying those expenses. AWP will not provide funding or reimbursement of expenses. AWP will not be bound by any agreements that are not in writing and agreed upon prior to the fundraising activities. Third Party fundraiser agrees to obey all federal, state, and local laws and regulations in promoting and conducting their event. Event organizers must obtain their own liability insurance to cover the event. Notification of the event on AWP’s social media platforms (Facebook and Twitter) and website. Attendance at the event to speak about AWP’s mission and/or receive proceeds by a member of our staff or trained volunteer, based on availability. Written tax receipts to donors who make checks payable to A Woman’s Place. AWP has developed criteria for participation and we carefully review each proposal received. 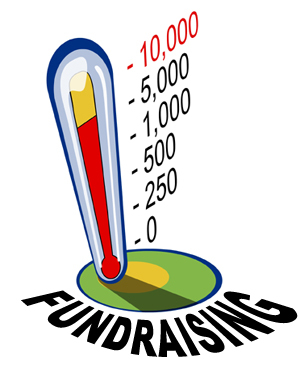 Before an individual, company, or organization may proceed with a fundraiser to benefit AWP, a proposal must be completed and submitted at least six weeks before the scheduled event. With less notice, AWP cannot guarantee any support will be provided. We encourage questions regarding fundraising events; please contact our Interim Director of Philanthropy, Jesse Steele, at JSteele@awomansplace.org or 215.343.9241, x127. We will email or call within one week of receipt of form.